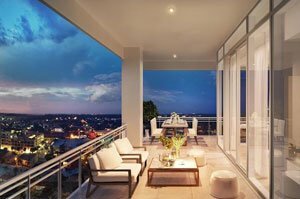 BLVD Sarasota is a luxury condominium which began preselling its units in the MLS of Sarasota condos for sale sometime in December 2018. This development is located at 500 North Tamiami Trail corner Boulevard of the Arts on the western edge of the thriving Rosemary District and north of the main downtown area. This condominium is a project of the award-winning Core Development based in Wichita, Kansas. It is set for 18 floors with a total of just 49 exclusive residences. Core has tapped BCBE Construction, a Naples-based custom home builder, as the official general contractor of BLVD Sarasota. Like Core Development, BCBE’s credentials are founded on total customer satisfaction and keen attention to detail. 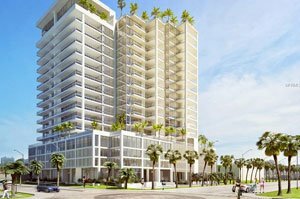 Envisioned as a landmark building at the downtown’s vibrant arts district, BLVD Sarasota draws market strength from BCBE’s “Finishing Touches” program offering buyers to customize their new homes exactly the way they like it. 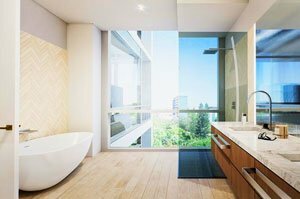 Under this program, a team of experts is assigned to work with the condo buyers for floor plan revisions and selection of the finishes suited to specific buyers’ needs. Samples of BCBE’s handiwork in the Sarasota real estate market include the Echelon on Palm on South Palm Avenue. The local imprint of Core Development, on the other hand, could be appreciated in the posh hotel Ritz-Carlton Sarasota and The Concession golf community. BLVD Sarasota’s blueprint boasts of an innovative amenities program basking on dual views of both the sparkling bay waters and the mesmerizing city skyline. 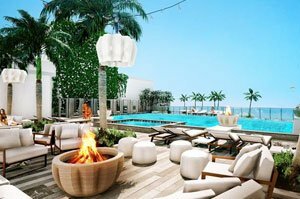 The facilities set in this condominium include a rooftop zero-horizon pool, cabanas, fitness center, dog park, and a trendy onsite restaurant. The latest security surveillance system is another feature of this condominium building which should appeal to discriminating buyers of Sarasota condos for sale. Private pools, moreover, are set for some select BLVD Sarasota condos for sale. Large wrap- around balconies come with each unit, which comes in four spacious floor plans and five unique, two-story penthouses laid out in the condominium building. The square footages of these condos count amongst the largest in downtown Sarasota, ranging from 3,300 square feet to 5,500 square feet. One of the 5,500-square-foot penthouses of this condominium came onto the roster of Sarasota condos for sale February 2018 with a tag price of $6.4 million. Like its pricing, this unit’s features are as extravagant with its layout for four bedrooms, five baths and two half-baths. Other February listings of available BLVD Sarasota condos for sale have price quotes at between $1.8 million and $2.9million. These condos are designed with three bedrooms and conveniently share much of the lifestyle delights that downtown Sarasota has to offer and more looming ahead. The Quay, a multimillion-dollar mixed-use project is notably rising just across west of BLVD Sarasota. Another major development on a city-owned bayfront acreage envisioned as a new town center is also being finalized, which should help pump up property values in its neighborhood. As it is, BLVD Sarasota puts its future residents only minutes away from the life and leisure centers of the downtown area. Its location, in fact, flaunts an estimated walkability score of between 86 and 92 out of 100 that convincingly affirms the prime value of this high-rise residential property. Below are the current real estate listings available at BLVD Sarasota.